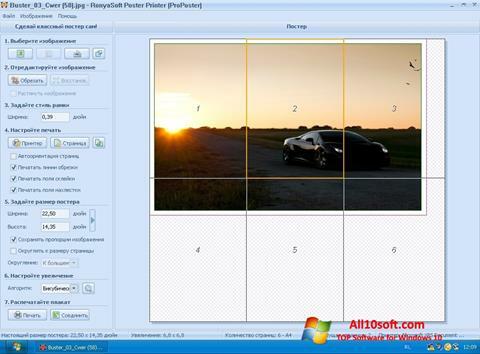 Poster Printer for Windows 10 does not require additional plotters for gluing and cutting parts of the image when printing. Synchronization with text documents, standard photos, tabular, vector, raster drawings helps to quickly customize the work. There is a function to connect to digital cameras, scanners for processing posters and high quality presentations. In the shell, you can select all available formats for printing, graphic extensions of objects, enable the preview function. You can free download Poster Printer official latest version for Windows 10 in English.